I am thankful I have always been a realistic person with a penchant for the optimistic side of the scale. I have never been one to dwell on the unfavorable circumstances I have lived through but I have chosen to use those unfortunate times as lessons, and there have been many. I could have opted to wallow in my misery but I continued forward, leaving those inopportune moments to collect dust while I moved on. Had I allowed myself to exist in those adverse periods of my past, I would be in a very different place in my life today. I am who I am because things in my life went wrong. But I am also who I am because of how I handled those things with a positive attitude. Even the most successful people have endured monumental setbacks. These moments are how life teaches us to be better people and these moments are why hope exists. That beacon of light in the darkness of our reality shines to draw us from the negativity that is ready to envelop us if we let it. Optimistic minds see a glass as half full but truly positive minds will disregard that glass completely and only focus on its contents. There is no line and, if you take away the glass, there is no halfway mark. 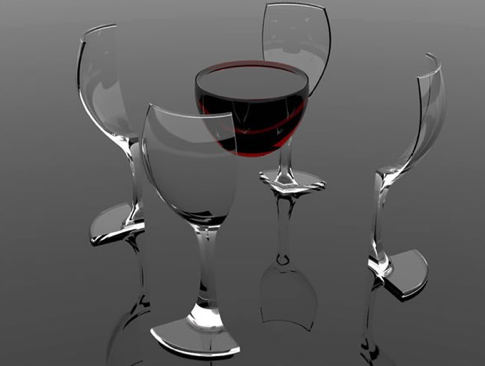 There is only the reality of what was in the glass in the first place. We need to embrace the messy, broken glass of our crazy lives and we need to drain every favorable ounce of life out of the remains when the glass is removed. The substance inside the glass is what we focused on in the first place and, regardless of how it sat in the glass, it remains the positive part of the bigger picture. Life is unpredictable. Life will try to dampen your spirits and cloud your skies. But life will always show you the rainbow if you are willing to see it. This is so true. I’m generally a positive person but have struggled this year with finding the tiniest ray of hope that things could be better someday. I’m getting there, though 🙂 That is a really neat image you used, by the way. So many of your posts make me nod and say “Amen.” You should run a church for good emotional health. Your thoughts are so spot-on – this is a great piece of writing – and insight.